Doug Wamble Slide Guitar Collection, Guitar Sample from The Loop Loft. 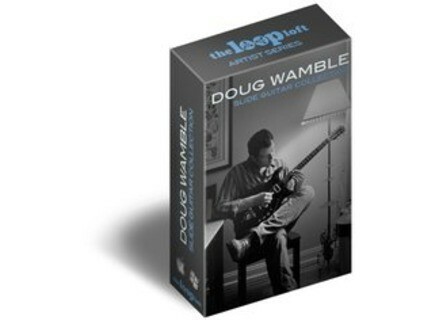 The Loop Loft has introduced the Doug Wamble Slide Guitar Collection, a collection of slide guitar samples. This collection of tracks is designed to cover a range of styles, from traditional Delta blues, to front porch folk, to singer-songwriter strumming, to dirty and distorted rock, according to The Loop Loft. 385 loops, session size: 585 MB. 24 bit 48 kHz audio. WAV, REX2 and AIFF (Apple Loops) formats. 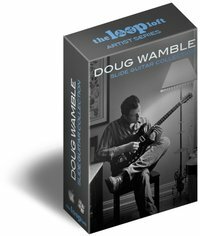 The Doug Wamble Slide Guitar Collection is available to purchase for $39 USD. Camel Audio Ian Boddy: Analogica Camel Audio announces the release of Ian Boddy: Analogica for Alchemy and the Free Alchemy Player, with 150 presets. Producer Loops Trance Elevation Bundle (Vols 1-3) Producer Loops has released the Trance Elevation Bundle (Vols 1-3), with a set of 30 Trance Construction Kits in ACID, Apple Loops, REX & Reason Refill formats. g200kg RoVee v1.10 g200kg has updated RoVee to version 1.10.